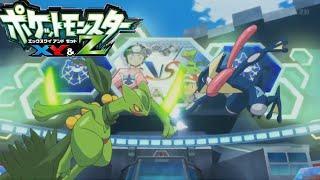 Ash competes with Sawyer in the semi-finals of the Kalos League. original title: Decisive Rival Battle! Satoshi Gekkouga VS Mega Jukain! !